Verve Health Co, created Ziggy, a fitness chatbot, which wants to help its users live a healthy and fit lifestyle. According to the developers of the chatbot, it will help you set and achieve all your fitness goals. At the same time, you can keep track of the progress through the chatbot. The chatbot has other features, such as suggesting workouts and giving advice, to name a few. Will all the features of the chatbot work when we converse with it? Ziggy, the fitness chatbot, uses Facebook Messenger as its main platform to communicate with users. Due to this reason, you have to activate the chatbot and give it permissions, before you can start using its services. After selecting “Get Started,” which appears at the bottom of the screen, the chatbot gives you a small introduction about itself. Ziggy will ask you if you want to continue. If you say yes, the chatbot will ask you a series of questions so that it has a better understanding of your limitations. For example, the chatbot will ask you if you have any experience with exercises. 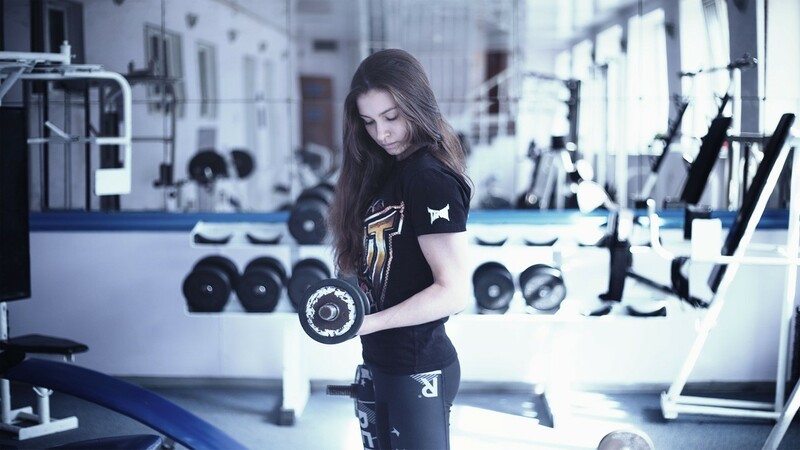 You can choose from the following – “None, Some, and A lot.” Then, the chatbot will find out if you are serious about taking your fitness and health to a whole new level. In the next question, the chatbot will find out if you have medical conditions, such as allergies, diabetes, and high blood pressure, to name a few. You can also select “No health conditions,” if you don’t have any problems. The chatbot also finds out the true purpose of using its services. Your answers can range from weight loss to running long distance. The last question is to find out which country you are from so that the chatbot can tailor its content accordingly. Once the chatbot has your information, it will give you a couple of instructions, so that you can have a conversation with it easily. If you want the chatbot to respond, you can type “Ziggy.” Also, the same command will take you back to the main menu, which is an extremely useful feature. Let’s find out what the chatbot will do when you select “Do a workout,” from its main menu. Before the chatbot gives you a schedule, it will ask you if you want to share your email id, so that it can provide additional information. If you don’t want the chatbot to have your email id, you can ask it to remind you later. The first thing the chatbot wants to know is about the intensity of training, which ranges from easy to hard. If you select hard, the chatbot has two different types of workouts. Depending on what you choose, the chatbot shares an image of the workout. You have to let the chatbot know that you completed the workout, by selecting “Done.” The chatbot will remind you to stretch and rest so that your body can recover from the workout. When you select “Set a goal,” the chatbot will ask you about your fitness targets. For example, you want to train hard so that you can become a long distance runner. The chatbot will ask you specific details about your target, such as the distance you want to cover, how many times you will workout during the week and the deadline for the target. After answering these questions, the chatbot will send reminders on a regular basis, to ensure that you are on track at all times. If you choose “Get advice,” the chatbot will ask you to pick from nutrition, exercise, and sleep. Let’s assume that you want to know more about exercises. The chatbot will give you tips on how to get toned, lose weight, how many times to workout, and which exercises are effective. For “Motivation,” the chatbot will share quotes that will inspire you to push your body to the limits. If you like any of the quotes, you can share it with your friends on Facebook. You can ask the chatbot to keep giving you quotes, one after another. The last option, “Learn about Ziggy,” gives you an opportunity to learn about the chatbot. You can ask it questions or even provide feedback so that the developers can improve the features of the chatbot. Overall, Ziggy is a great fitness chatbot on Facebook Messenger. Whether you are looking for advice, setting goals, or workout plans, the chatbot has it all. On top of that, the chatbot gives you helpful tips after every session, to ensure that you get the most out of your workout. If you want to test the chatbot or use its features for improving your fitness levels, click here! Brought to you by SingaporeChatbots.